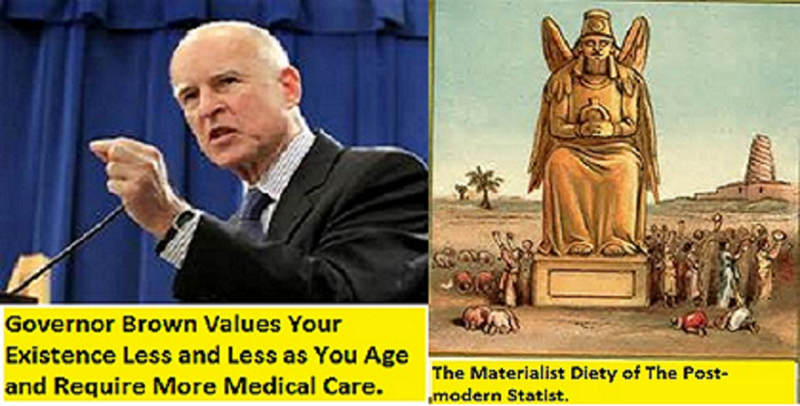 California’s Governor Jerry Brown — known to conservatives as Gov. Moonbeam — signed into law yesterday a bill (SB 282) that allows any person to “aid, advise, and encourage” suicide under the state’s assisted suicide law. Until now, these actions were felonies, as the state had a longstanding policy to protect people from self-harm. In the aftermath of non-profit organization Life Legal’s challenge to California’s End of Life Option Act, the state legislators — a Democratic Party majority — decided to go even further. Those who oppose such laws have said that physician-assisted suicide is only the beginning. and now California is following other self-inflicted death jurisdictions like Canada, Belgium, and the Netherlands. The Dutch government went as far as garnering support for assisted-suicide first and then pursued eventually legalizing voluntary and involuntary euthanasia. 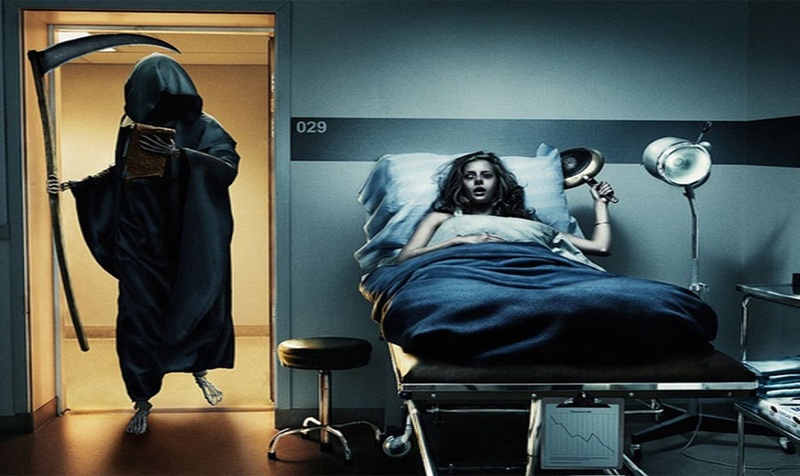 “Involuntary euthanasia is the ultimate goal of the so-called globalist leaders of the New World Order. 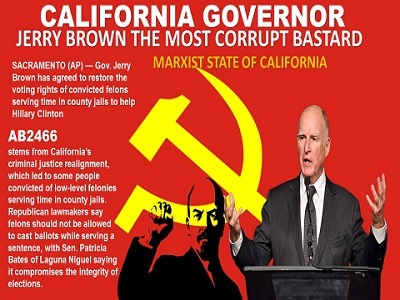 In the U.S., California would love to euthanize the current American citizens and replace them with tens or millions of immigrants who they hope are ill-educated and unsophisticated,” said from military intelligence operative and police sergeant Joey Heddran. “The goal is simply to replace the nation’s demographics,” he added. “This bill would allow a doctor or nurse to “aid,” “advise,” and “encourage” you to take suicide pills. And this new law lets a relative who could financially benefit from your death to sign an order giving you suicide pills,” said Charles Finneman, a criminal psychologist with the American Federation of Police and Concerned Citizens.. 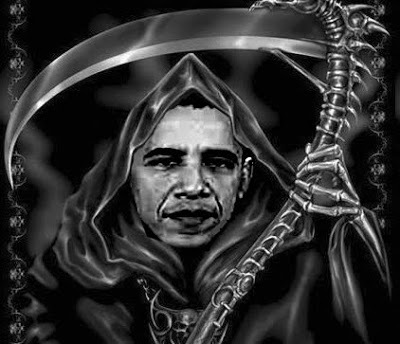 The Obamacare debacle created a slippery slope from which there may be no return. For over two years, Life Legal has been battling California’s assisted suicide law in the courts. The group’s opponents are California Attorney General Xavier Becerra, who they claim is in pocket of groups such as Planned Parenthood and who charged David Daleiden and Sandra Merritt with 15 felony counts each for exposing the abortion giant’s role in the criminal sale of butchered baby parts for profit; and the grossly misnamed “Compassion and Choices,” which is the Planned Parenthood of the forced death movement, heavily funded by the likes of multi-billionaire radical George Soros. Life Legal and other conservative and religious groups registered their opposition to SB 282 from the beginning, since it grants complete legal immunity to anyone who wants to facilitate the death of someone who is defined as “terminally ill” under California’s assisted suicide law. The law defines “terminal” as a condition expected to lead to death within six months if left untreated. California’s assisted suicide law allows “interested” witnesses, which include beneficiaries, to sign a person’s request for assisted suicide drugs. The new law allows an individual to aid, advise, and encourage a person to commit suicide — sign off on the method of suicide –while financially benefiting from the person’s death. According to Life Legal Defense Foundation, “We cannot imagine an issue more worthy of attention than the protection of vulnerable life. It is unfathomable to us how so many have remained silent in the face of this radical and dangerous policy shift. Link to opposition to SB 282. Life Legal Defense Foundation was established in 1989, and is a nonprofit organization composed of attorneys and other concerned citizens committed to giving helpless and innocent human beings of any age, and their advocates, a trained and committed voice in the courtrooms of our nation. People should have the right to “bump themselves off.” Aiding others to “end it” is however, another matter.